Android 5.0.1 is currently the latest and greatest build of Google's open source mobile OS. But a report published on Wednesday suggests that Android 5.1 could be released as soon as February, and will include a number of improvements. Jumping a full decimal point to Android 5.1 instead of using 5.0.2 would seem unusual for an OS build that is not yet available to the vast majority of Android phones. In the past, such a jump has often ushered in a whole new OS name for Android. 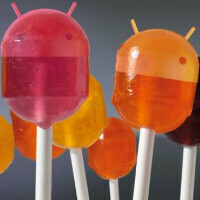 Exceptions were seen with Jelly Bean (Android 4.1, 4.2, 4.3) and Eclair (Android 2.0, 2,1). According to the report, Android 5.1 will include the following changes: Silent mode added after missing on Android 5.0, General improvements in system stability, Improved RAM management, Fixes for sudden app closures, Improved battery management, Excessive consumption of network devices when used Wi-Fi fixed, Issues with wireless connections fixed, Problems with Okay Google function solved, Notifications problems solved, Some sound problems experience by certain devices fixed and Other improvements and changes. Sounds like a rather ambitious update, perhaps worthy of the full decimal point jump. And yes, you should take this report with a grain of salt. But even though you're heading to your spice rack to open the Morton's salt, it doesn't mean that there isn't some truth to this report. If this update comes through in February, we don't expect Google to move on from the Lollipop moniker so quickly. So if this is true, that means we should skip the 5.0.1 and jump to 5.1? I have 5.0.1 right now. In fact just look at some of the nexus image Roms. If you have a Nexus Device I wouldn't skip any of the iterations, for a 'rumored' one is as far off as 3 months away . . . It's much bigger than that, it brings ahead of time compiling and 64bit support which includes ARM v8. isn't ahead of time compiling already available in kitkat with ART? none of the devices in the market can take advantage of 64bit. so why update? I don't think any androids apps need 64bit chip even when new devices do come with 64bit chips I think 64bit chips are kinda pointless in the age of cloud computing, eventually all hardwares do is deliver content from the internet. all processing should be done in the cloud. the only upgrade we need is better camera and more power efficient devices. Ultimately the goal is do more with less. LP was made specifically to run on ART and is apparently more efficient and more stable than running it on KK. On KK you can switch from Dalvik to ART, but KK wasn't engineered with ART as the main runtime. Besides that, LP opens up the camera api for doing RAW images, encryption, notifications on the lock screen, do not disturb mode, Android TV integration, better communication between apps, trusted devices and safe zones, SELinux malware protection, multiple user profiles, & Project Volta to increase battery efficiency. There are 5000 new APIs in LP, so it's not just design changes. Honestly, I don't like Android 5.0. My Nexus 10 upgraded to it about two weeks ago and I agree it's more confusing with the new notification and settings panel. Also, my biggest gripe is that whereas previous iterations pushed Google services, Android 5.0 makes Google services mandatory. The email app no longer works, it's now covered underneath the Gmail app. This may be fine for people who use their gmail account for email or already heavily use Google services, but for people like myself it's a nuisance. My gmail is used for spam, so I don't necessarily like having notifications show up on it. lolilpop is a swing and a miss that nobody wants to admit. From your perspective perhaps, but from mine I like it. The added extra features that are there now vs Kitkat are something that Personally enjoy. Number 1 (Built in now) feature for me is Smart Lock, Finally I can use my NFC Ring, Home Location, Pairing with my car - all as means to keep my phone unlocked when available and lock all other times. Yeah you could manage to do that with some 3rd party framework/apps but now I don't have to. For someone claiming they use Android, but does not like or use gmail. I hope you know that you can turn off gmail notifications since you only use it for span anyway. I actually think you don't use Android at all, and you just like to complain. I thought exactly the same thing as I was reading the stuff about his Gmail app...he quite obviously doesn't know how to use the full functionality of the Gmail app....I know that I'm writing this with the benift of hindsight. I wonder if people still feel the same way? I love Lollipop 5.0.1 on my Note 4, love Lollipop 5.1.1 on my Nexus 4 and 5.0 2 on my Nexus 7 & Tab S 10.5 cellular. I'm looking forward to Android M, which will streamline what is already a really good, integrated OS! (No OS is perfect...yet :). Maybe he doesn't want to feel forced to give Google all his data? Android is turning into more and more of a Google data theft OS. It's a slow process, but inevitable. The Gmail app doesn't give Google your data of the extra mailboxes. Right, and no one else does that. Google may be the worst offender, but they are by no means the only one either. You can still use a third party mail app and there are tons out there. Personally I use maildroid for all my other mail accounts other than gmail. So they just fix the bugs they caused in 5.0? Wow, cool. How is that any different than iOS 8.01, 8.02, 8.1, 8.11...? I agree with your sarcasm. The updates listed sound more like the things you would find in an incrememntal update like 5.0.2. I don't really see anything new or substantial here. If 5.1 is really happening this soon, I hope Google has found some actual new features to add. So they are basically just proving that you should really buy a nexus phone. I have a Galaxy S4 that may or may not get the 5.0.1 update months after its initial release and now they are releasing another update? Man I can't wait for the successor to the nexus 5 (not the 6). They should include some features too like double tap to wake, one handed mode since the nexus 6 is a phablet, multi window, a percentage indicator for battery etc..